Bogota is a city of many layers; it manages to intertwine its colonial past, with the new and emerging Colombia of today. Whilst you can still wander down old cobbled streets, which wind past preserved and vibrant colonial buildings in La Candelaria, you can also sip some of the worlds finest coffee in new and trendy coffee shops in the cosmopolitan area of Zona G.
Bogota is both gritty and chic, audacious and elegant. This contrasting city which sits somewhere between old and new, is a perfect symbol of Colombia's harrowing past and its hopeful future. 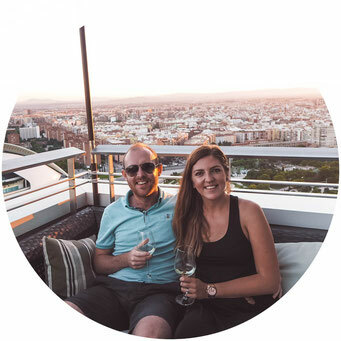 Any visit to Colombia would not be complete without at least spending a few days in its capital and once you know where to stay in Bogota, the next part is working out what to do there. 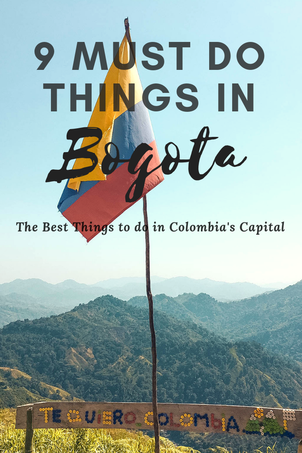 We have created this guide on the best things to do in Bogota, including all the places you must visit and things you must do while in the city. 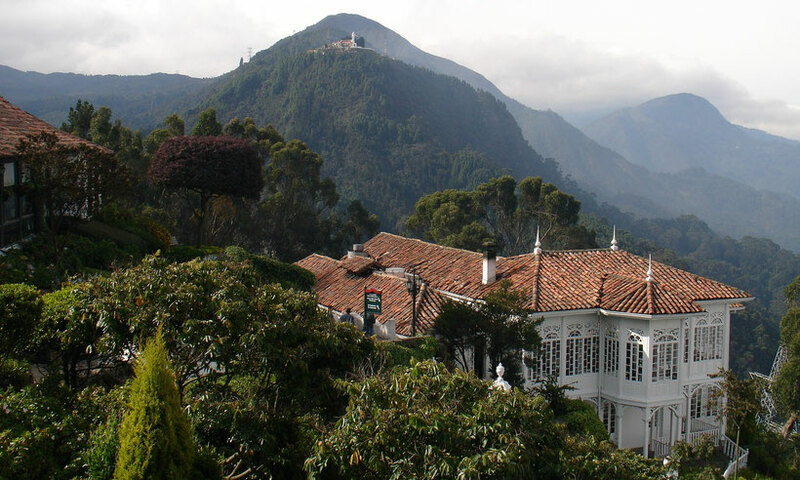 For panoramic views over the city and to gain an understanding of the scale of Bogota, then a visit up to the top Monseratte is an absolute must! You can either take the gruelling footpath up to the top, bearing in mind you will be walking at altitude as Bogota is 2600m above sea level. If you chose to walk then we would recommend only doing this at weekends when the path is busy; as the path up to Monseratte is known for pickpocketing and you will be especially vulnerable if there is no one else around.. Or alternatively,, you can take the easy route and take the short funicular ride to the top. 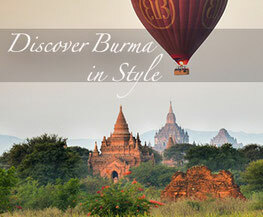 At the top you will be welcomed by uninterrupted views of the sprawling city and a beautiful church. We've done walking tours all over the world; some undoubtably better than others but the walking tour we done in Bogota was one of the best. We went with the company Beyond Colombia and our guide, Hector, was incredibly informative and passionate about his country. We learned lots of interesting facts about the city and Hector shared plenty of stories which really gave us a deeper understanding of Colombia. A walking tour is a great way to get your bearings, learn a little more about a place and get some recommendations from a local. Whilst Colombia may not be as well known for as its food as neighbouring Peru, there are still some delicious Colombian treats we wanted to learn how to make. 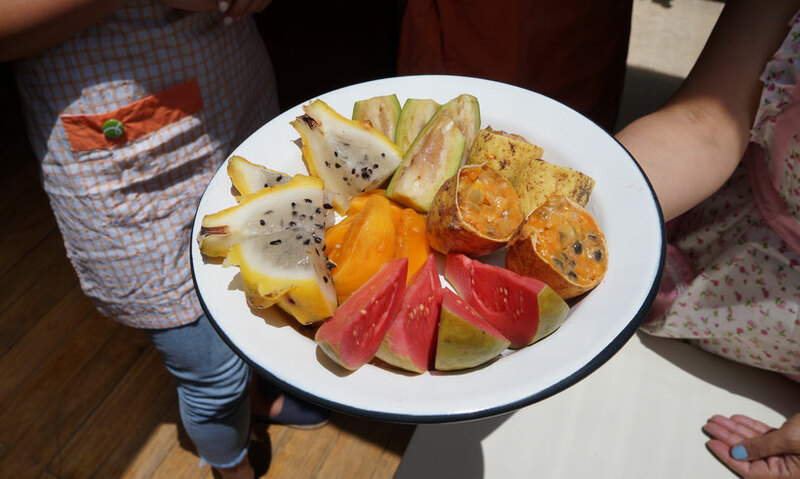 We've written a complete review of our Bogota cooking class, however, not only was it great to learn to make empanadas but we also got to try a range of exotic fruits and Colombian snacks. The part we loved most was cooking with a local in their own home. We were paired with Diana, a lady from Bogota and her insights into the country were fascinating. It was a great, fun (and delicious!) way to learn more about Bogota and Colombia as a whole. Museo del Oro, or The Gold Museum in English is a must visit museum whilst in Bogota. Whilst undoubtably the most interesting museum in Bogota, Lonely Planet also rates it as one of the most fascinating museums in all of South America. The museum has a collection of over 55,000 pieces of gold and other materials all from pre-hispanic Colombia. The legacy behind some of these pieces are truly enthralling. Top Tip: The museum is closed on a Monday so don't plan to visit it on this day! 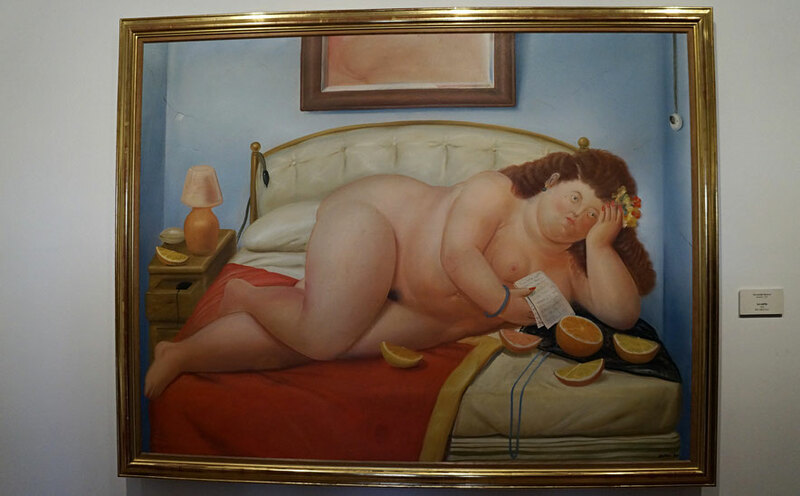 Fernando Botero is a Colombian artist and sculptor from Medellin who is famous throughout the world for his creations. He specialises in depicting people or objects in large, exaggerated volume. His artwork is held in galleries around the globe and he also has sculptures in Park Avenue in New York, and Champs-Elysees in Paris. In 2000, Botero donated a collection of over 200 works of art of the Banco de la Republica and the Botero Museum was born. He donated these under 2 conditions; the first being that he selected exactly where each painting was to hang and this couldn't be changed and secondly, that the museum would remain free of charge to everyone. His work is unique, interesting and usually with a hidden meaning behind the image. We visited the museum firstly as part of the walking tour but then returned again on our own to spend more time appreciating the pieces. Carne de Res is a pilar of the Bogota restaurant scene; this legendary place is sure to blow you away. The original restaurant is located about 1 hour from central Bogota and most locals say that this is the best one; a sprawling 2.76 mile restaurant that possesses 11 dining areas, 2 dance floor and eh, a climbing wall?! Whether you travel to the one outside the city or visit the city centre restaurant, you will be enchanted by the surreal decor. Once described as "Alice in Wonderland meets Moulin Rouge", this theatre like restaurant with a 75 page long menu and endless live entertainment promises a dining experience like no other. Top Tip: If visiting Carne de Res then don't go on a Saturday night as there is no entertainment. Instead, the restaurant becomes a disco. Also, if visiting the one outside the city then use Uber as this is the most affordable way to get there and expect to pay between COP $27,000 and COP $48,000. Colombia is renowned for producing some of the best coffee in the world; and now in Bogota there is a blossoming coffee scene with trendy cafes opening on every corner with some cafes in particular selling speciality coffee. 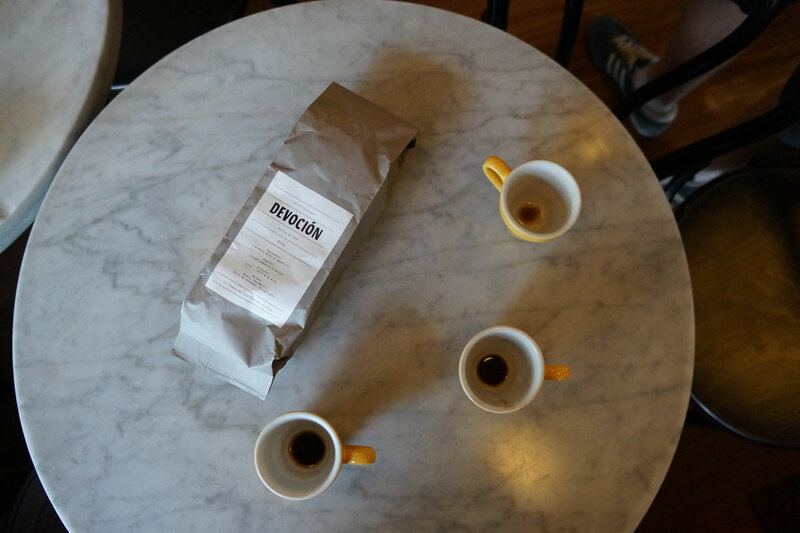 We done a tour with Flavours of Bogota which took us around some of the best coffee shops in the city and we sampled their coffees. We also learned lots about the coffee producing industry and why Colombia is able to grow such incredible beans. If you love coffee or want to know more about this key feature to the Colombian economy then we would highly recommend this tour. At the very least you will know where to grab a good coffee during your stay in the city! Usaquen was once a town to the north of the city, however as Bogota continued to expand it soon became the most hipster-esq neighbourhood in Bogota. Usaquen is brimming with cafes, restaurants and bars and is especially lively on a Sunday when the market is open. We spent the day in Usaquen, wandering through the market buying little trinkets and sampling some delicious produce. We loved the relaxed vibe of Usaquen and we can understand now why so many people encouraged us to visit there. 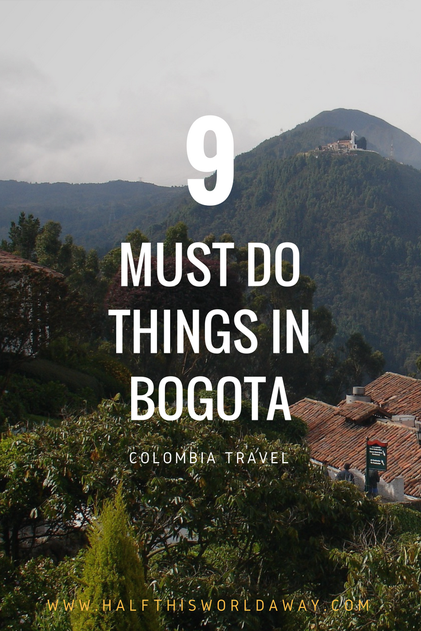 It's now not only one of our favourite places in Bogota but also in all of Colombia!